I've just about decided to either rebuild or replace my 99's 2.5l motor. If I replace, I'm looking at a potential upgrade. Big question is, will the 5 speed from the 2.5l fit any of the options? I'm warming up to the idea of spending the next year buying and prepping an engine, then doing the swap when this one cuts loose. Need to factor in the transmission needs into the budget. Quote "The Boxster 1997-99 chassis can accept any Carrera 996 3.4L engine, or can use any Boxster engine from 1997-2002. In 2003, Porsche switched to a vane-cell adjuster mechanism to control the variable camshaft timing, and this system requires the later DME running Motronic version 7.8. Unless you upgrade the car to use the later DME (very difficult), you cannot use any 2002 or later 996 Carrera engine or any 2003 or later Boxster engine. You can swap in any replacement 2.5L engine from 1997-99 without having to remap the DME." Thanks for the link, I actually have the book that article is from. The big hang up I have is that they did not reference which transmissions fit which motors. I'm basically looking to see if my 2.5l's 5 speed manual will fit the other motors, or if I have to factor the cost of a transmission swap along with the engine upgrade. so my assumption is that it will bolt up. Last edited by Qckslvr; 03-19-2019 at 06:55 PM. Read through that one, looks like he has the 5 speed out of a 2.7. Maybe I can find some documentation showing if they are the same as the 5 speed out if the 2.5. Any of those engines will bolt to and work with the 5-speed transmission in a '99. The complication with transmissions is swapping from a Base to an S, or vice-versa. 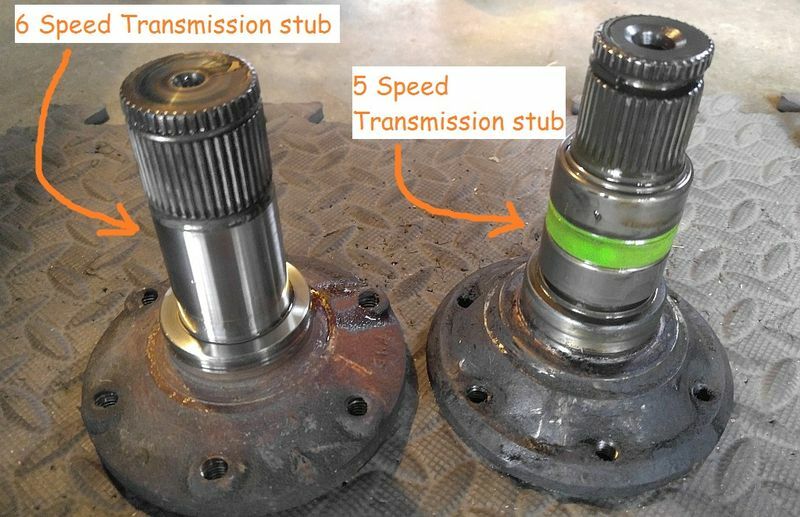 The axles and the stub they mount to on the transmission are different. I'm running a 98 5 speed in my 3.6 Boxster with a 7.8 DME. 1st gear is way too low, usually start in 2ond. 5-speed clutch has a different spline count than a 6-speed; any 3.2 or 3.4 into a 5-speed car would require new clutch and pressure plate as well.